Sikh officers were allowed to wear small wraps before and a beard to a millimeter in length. That has changed to a full turban and grow up to ahlf an inch long beard. 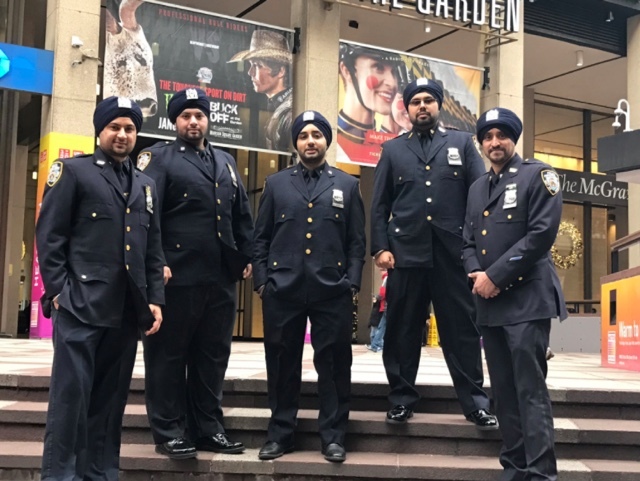 There are about 150 Sikh officers according to the NYPD commissioner. Man, Who Filmed NYPD Killing Eric Garner By Chokehold, Arrested!